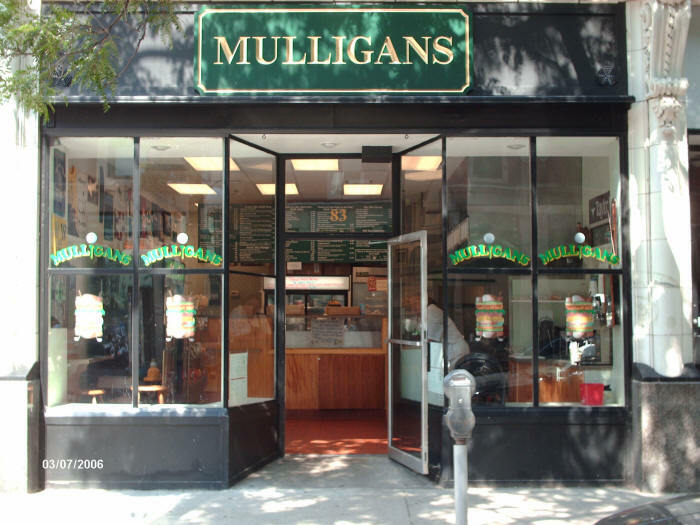 Serving breakfast and lunch in the North Station area since 2001, Mulligans has become the deli of choice in the community. With a friendly staff exuding that neighborhood charm not often found in the city, Mulligans serves some of the most creative and delicious sandwiches around. From our roast turkey breast just from the oven, our piled high Reubens, and our freshly prepared grilled chicken Caesar salads, to our hot off the grill Egg McJagger breakfast sandwich, you can always count on Mulligans for the quality, service, and value that you deserve!